They became history and landed on this page. On top are the more recent. Here are all the news that have been posted on the homepage. I think it's more usefull to keep the recent ones there and all the others here. Added more works on the Logos and Illustration pages of the Portfolio. Added work on the Logos page of the Portfolio. Added some works on the Logos, Type and Webdesign sections of Portfolio. 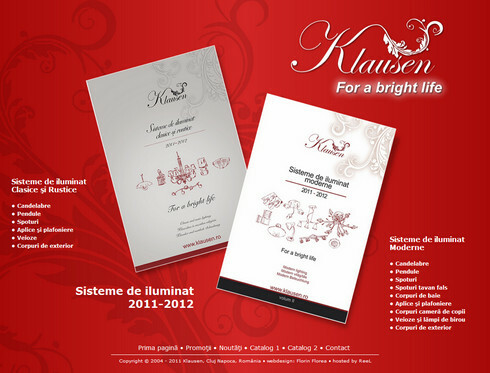 A small folded program added on my Page Layout / DTP section from my Portfolio. 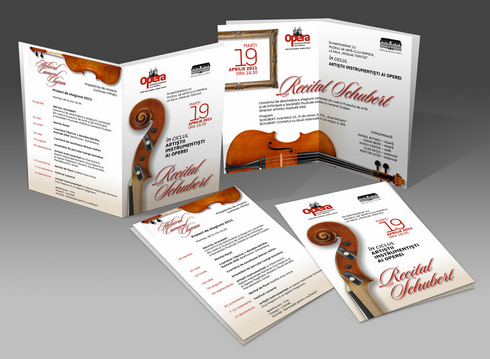 Added a folded program for a chamber music recital on the DTP section. 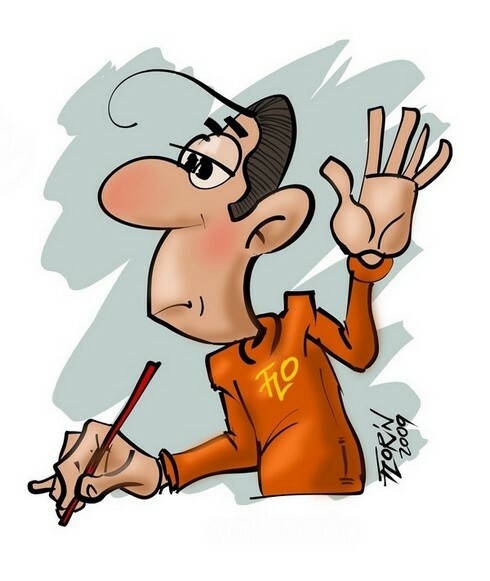 Did a new Traditional Drawing Digitally Colored and added to the Illustration page. 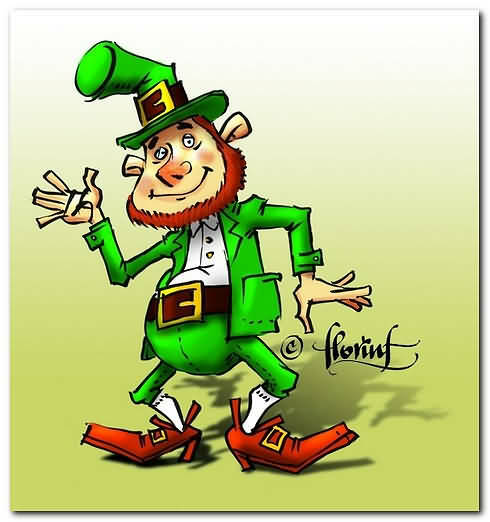 It's a Leprechaun and I hope to find a Publishing House wishing to illustrate some stories with my drawings. 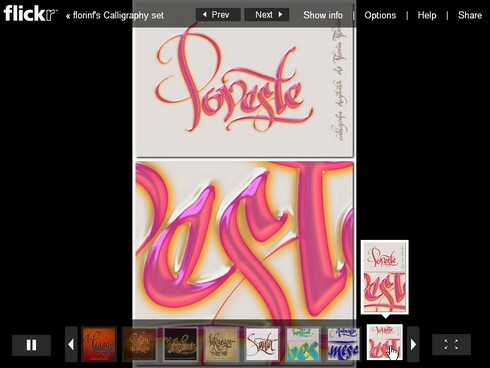 I could even do a book cover with my Digital Calligraphy. A new identity work (TechMediServ) added to the logos page of my portfolio. 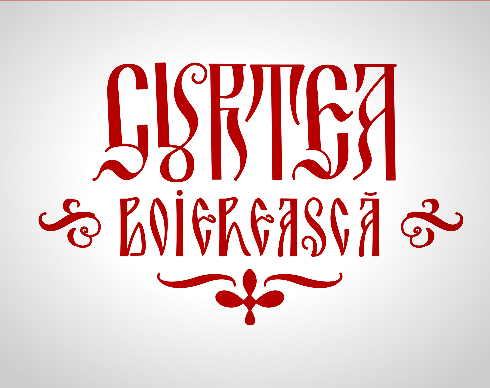 A new work added to the type page of my portfolio. Also added to the free download page as a wallpaper (1600 x 1200 px). 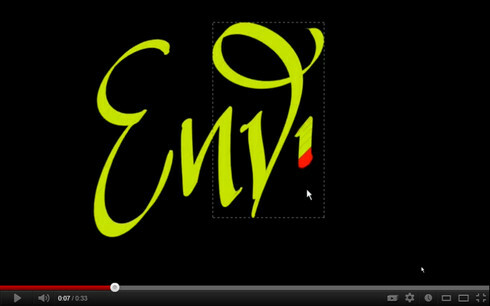 Some of the videos I did while working in Inkscape are now on YouTube and in my portfolio. 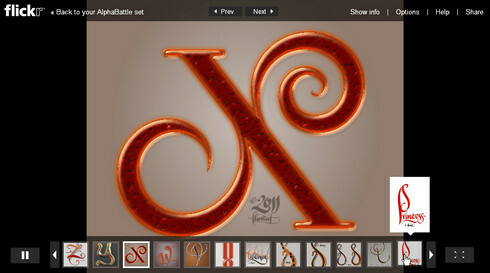 Digital calligraphy added to my lettering portfolio page. 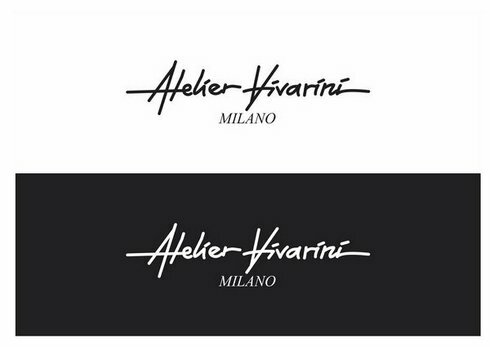 Visual Identity added to my logos portfolio page. 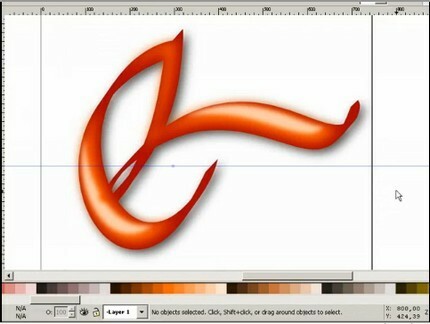 Playing around in Inkscape I have done some drawings, this one showing how to color an image. 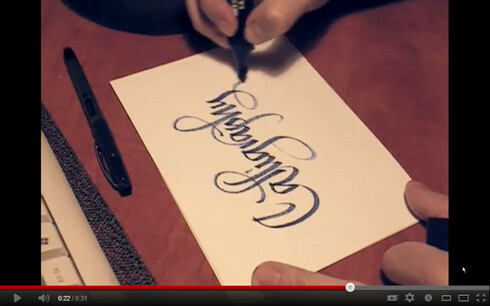 As I play a lot lately with my Wacom Intuos graphic tablet and calligraphy, I have some results. 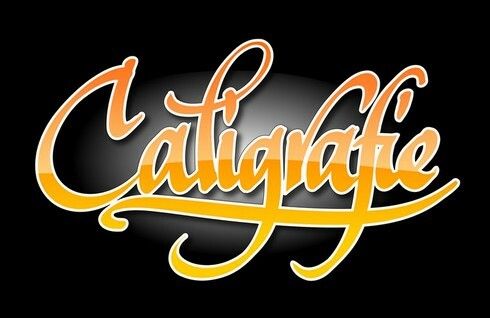 I just needed a place to show them so I have created a page in my portfolio for type, typography, fonts and calligraphy works. You can get to it clicking here. Another webdesign project (Mini site for a research project). 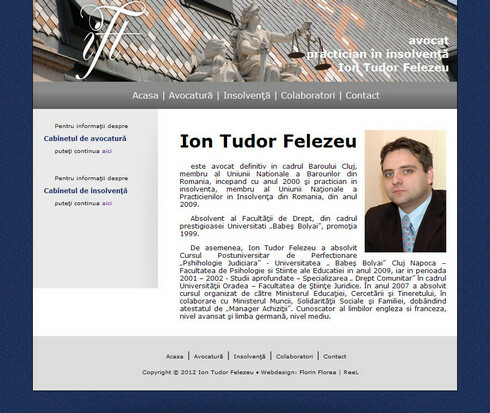 You can check it on my webdesign portfolio page. New work added to my portfolio pages. A new Visual Identity created for Juris Insolvency. 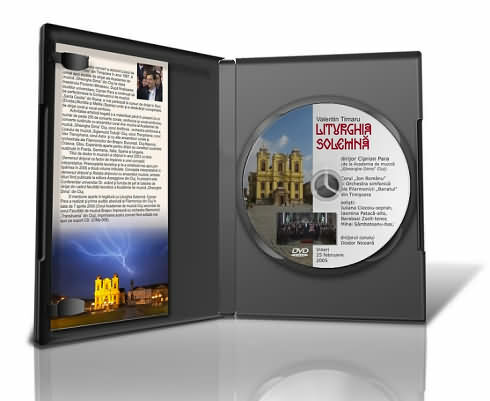 I have done some DVD covers, labels and booklets. Placed them in the DTP section. 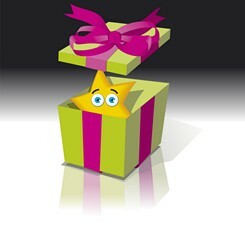 Another webdesign project (Eurostar) that's still "work in progress". 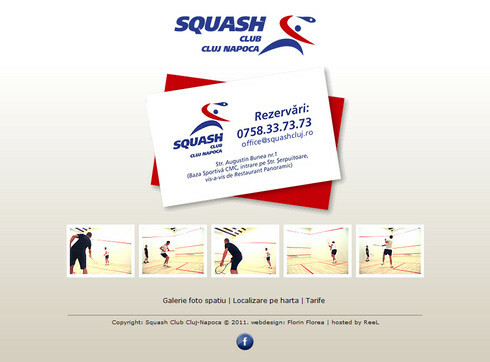 A new webdesign project (Cadoro Mobili) you can check on my webdesign portfolio page. More works added to my portfolio. 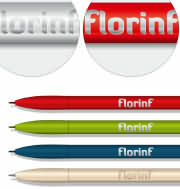 Check the DTP, logos, illustrations and retouch pages. More illustrations added to my portfolio. Also adding more posts to my blog. 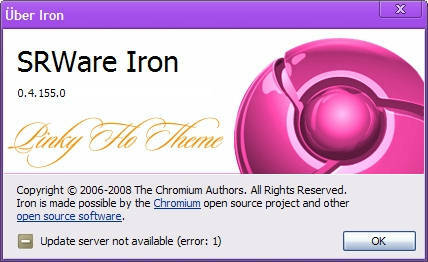 I have done a skin (theme) Pinky Flo for Chromium browsers like Google Chrome or Iron. 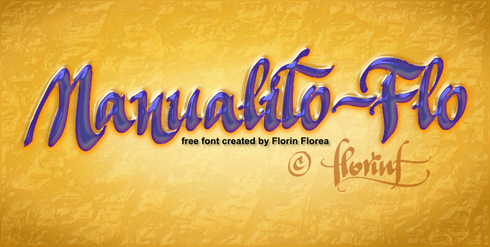 If you like it, you can download it from my freeware page. 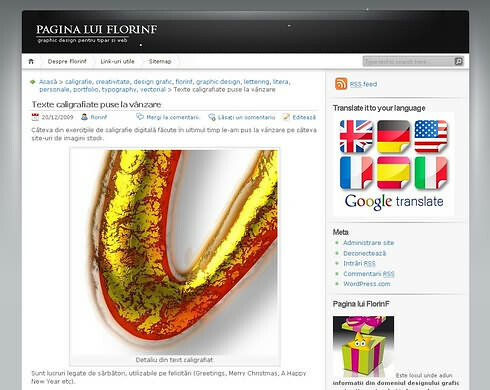 I have a new blog in romanian called pagina lui florinf (florinf's page). If this link works Google Translate can be used to have it in English. Updated my portfolio with a new logo for Webfarm. You can see it on the logos page. Another logo and vector drawings update to my portfolio. 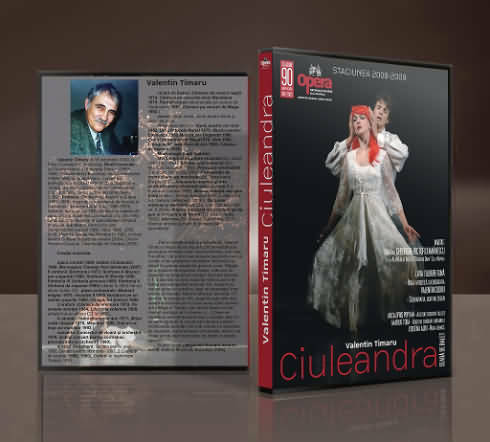 Sound SlideShow created for the Cluj-Napoca Romanian National Opera. Completed works on 3 sites this month (June 2008). Check my webdesign page to see sample images of them. 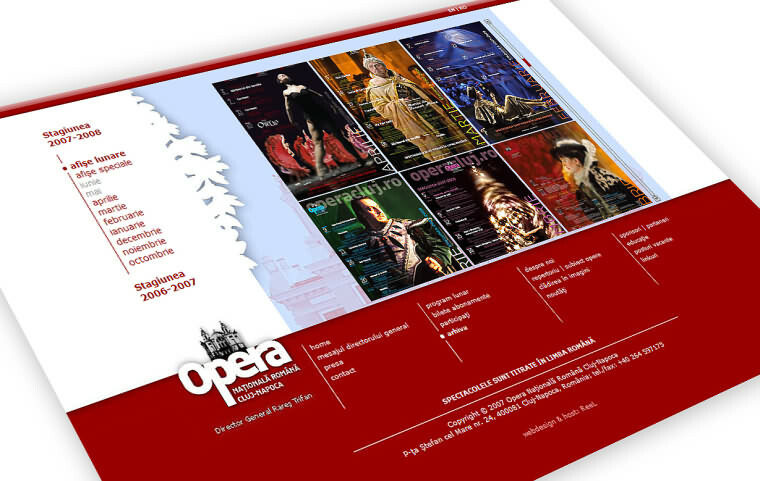 Constantly updating (since February 2007) the Cluj National Opera site. 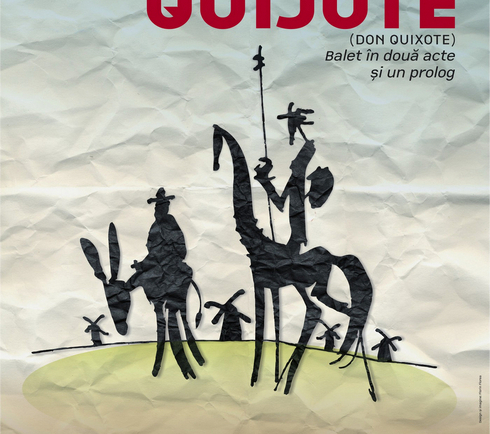 There are posters, monthly programms and homepage images for each play, that I have to create and update. Also did the special poster for Othello. 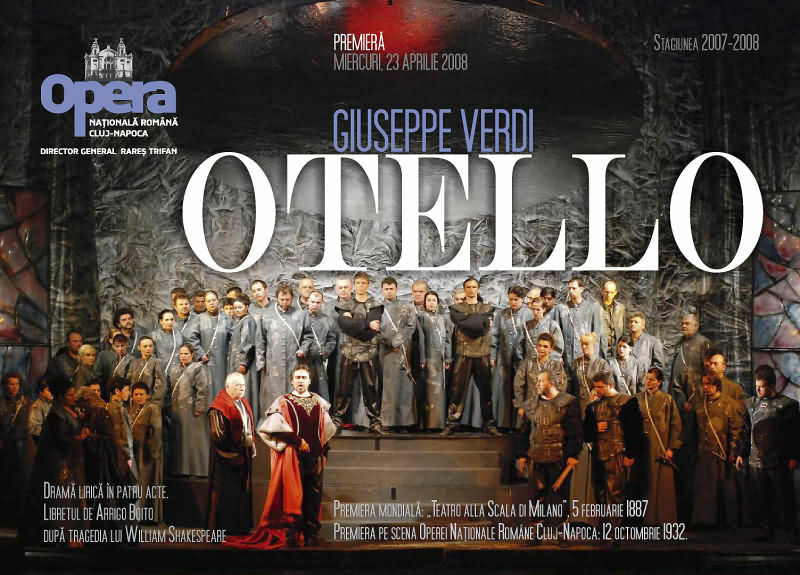 You can check it here and also on the Opera site. 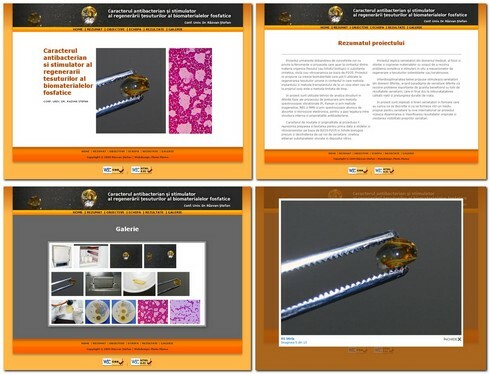 There is also another preview of this site screens in my portfolio webdesign page. 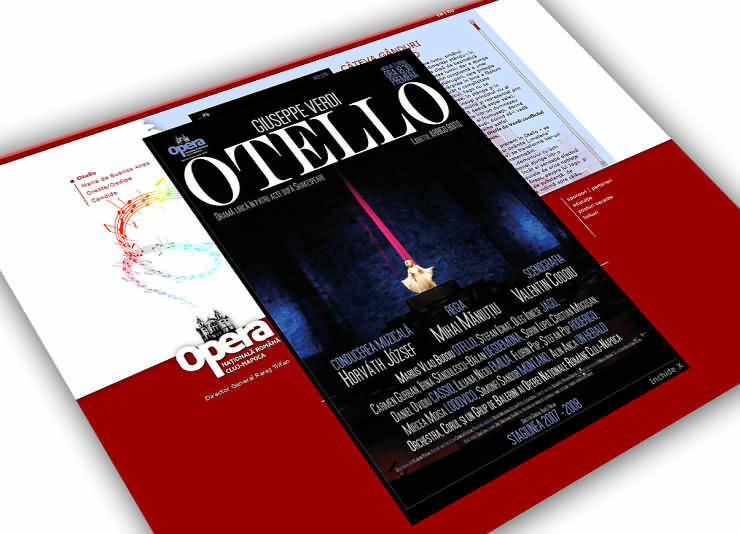 I did a booklet for the Othello play. Bellow is the inner cover. 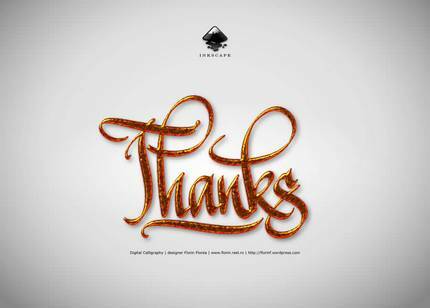 More images in my portfolio DTP/Layout page. Had to do a 3D illustration of an exhibition/fair stander. More images on my illustration page. Portfolio update. 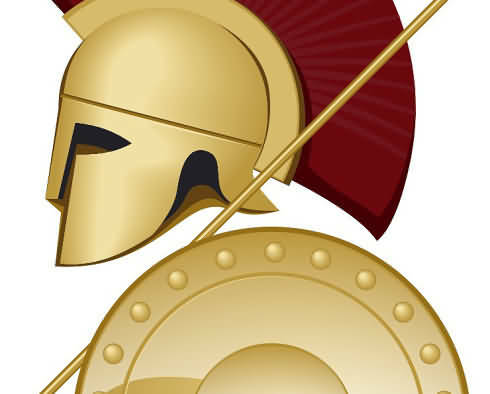 New logo added to the logo page. Updated my portfolio. 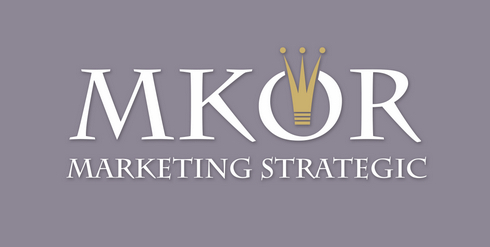 New websites have been done during June, added to the webdesign page. Also added some more useful links. 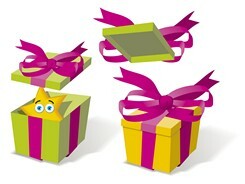 There are little preview images now for my links. If you don't want to see them, they can be disabled from their little window, on top right corner there is "Disable". Had a very busy time lately. A couple of sites are still in my studio. 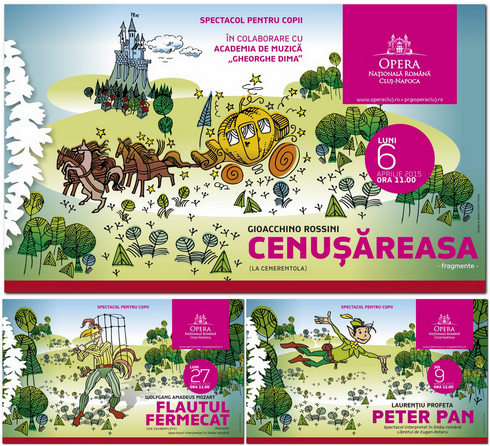 Meanwhile updated the Cluj National Opera site. 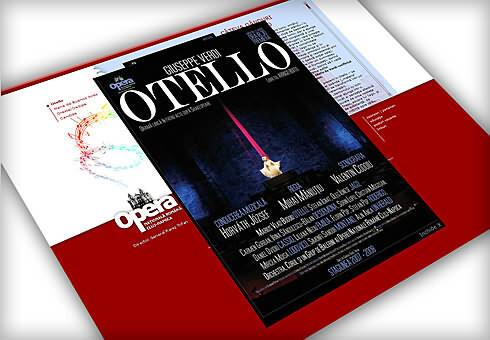 I also did for them a booklet, beautifully printed by ArTeQ, about the opera play Othello. Also did an exhibition/fair stander illustration. I have done a separate news page. Link below and in the menu. Also updated my portfolio with new webdesign work. I have a portfolio page on FigDig now. Also added it to my links. Web graphics and layout for a new site. Click on the image below to read and see more about it. 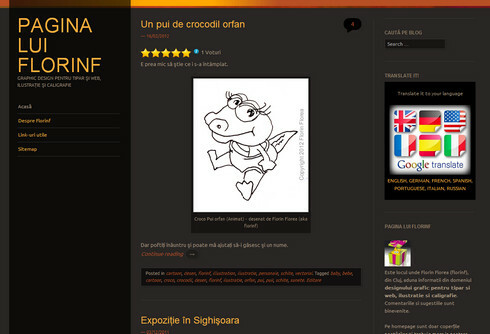 Added the homepage in romanian and also my Firefox T-shirt Contest entries in my illustration page. These are my entries in the Firefox T-shirt Contest. I enjoyed doing them. I like Firefox very much. You can see all of them in my illustration page. 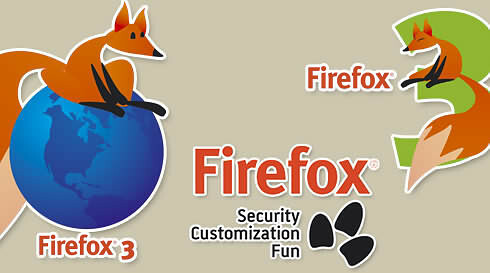 Decided to participate to the Firefox 3 T-shirt Contest and did some designs. Had a busy time. A lot of works. Short deadlines. Finally over. Samples: recent work or in DTP page and retouching page. Just finished them. Printed and delivered to the clients. 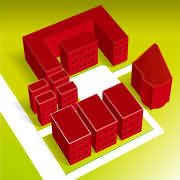 More images approved on stock sites. Great! Check them out. The links to my galleries are on the links page. 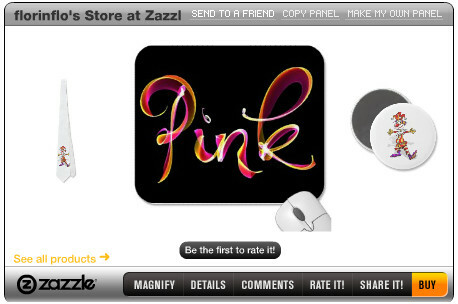 Take a look at my new graphics added on these stock sites. 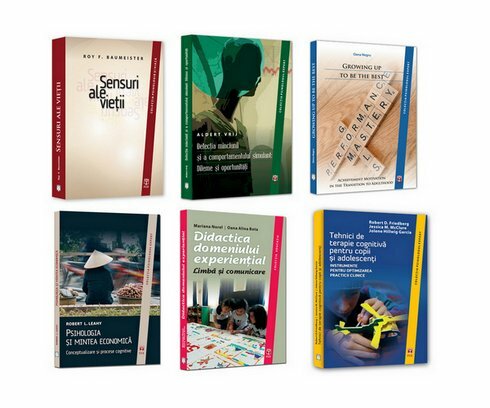 Here are some places where you can find more about me and my works. Photos from Venice - that I took while visiting Venice (September 2007) for the 2007 Venice Biennial of Art. 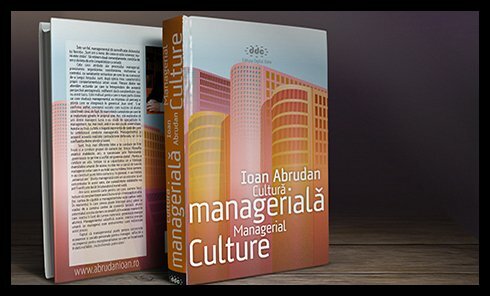 This gallery is in romanian only (I did it for relatives and friends) but images speak the universal language. I have added a photo gallery directly into these pages with photos I took in the Ethnographic Museum. Finally have some time to redesign my site. I'm glad I do it, because I'm always the last client on my list.